To avoid the germs settling inside your bed mattress, cleaning your mattress weekly is very important. The most preferable method is mattress steam cleaning which removes dirt and germs completely. People don’t realize that how harmful are the mattress if not cleaned properly. Your mattress tends to get dirty like your sheets it is a great idea to clean it regularly. Dead skin particles and dust gives an open invitation to mites to build up their homes. If you have pets, then you should try to rotate or flip the mattress periodically. Vacuuming and steam cleaning makes it dirt free, but wrong cleaning methods can ruin the mattress. Keep all the materials ready and strip down the covers while paying attention to the seams. With the help of the canister system or steam mop, check all the surface of the mattress. Now set the system to the high speed. Avoid using a cheap steam mop or weak handheld unit. Use a strong steam mop that doesn’t leave moisture behind. To protect the surface of your mattress, use a cloth with a larger floor tool or upholstery tool. You can also use upright clothes steamers if you have one. To avoid tearing of your mattress covering, avoid plastic nozzles. Don’t take much time over one area and avoid soaking the material. After the steaming process, let it dry in the air naturally. In the final step, check thoroughly if the mattress has dried properly. If yes, then sprinkle baking soda to deodorize the mattress. 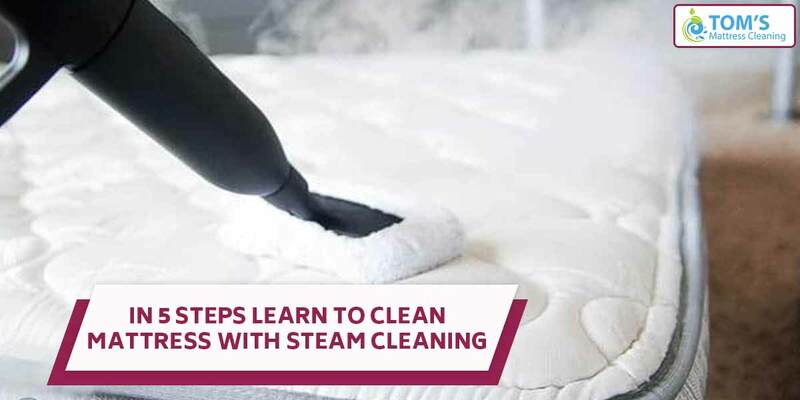 After mattress steam cleaning, your job is not done yet! If you want to increase the lifespan of your mattress then you have to follow some additional preventive measures. To save your time and energy in cleaning, add some extra layers to take care of your bedding. If you double up your mattress and pillowcases, then it will cut down the chances for the mites or bed bugs to grow on your mattress and pillows. You can also find impermeable covers to protect your mattress from the bed bugs. This does not only saves your time but also saves your money from replacing the mattress. To get same day, on-site mattress cleaning service call Tom’s Mattress Cleaning Melbourne Professionals on 1300 068 194.